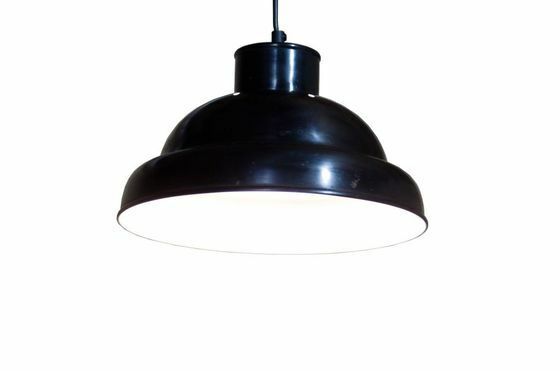 This black ceiling light, reminiscent of early 20th century industrial workshops, will add a touch of industrial design to your home. 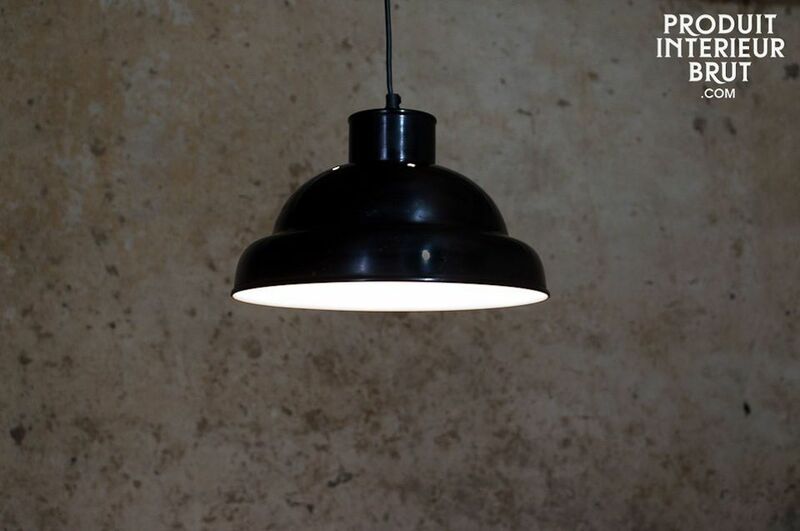 Quality finish in satin black for the outside and off-white inside for optimal brightness. 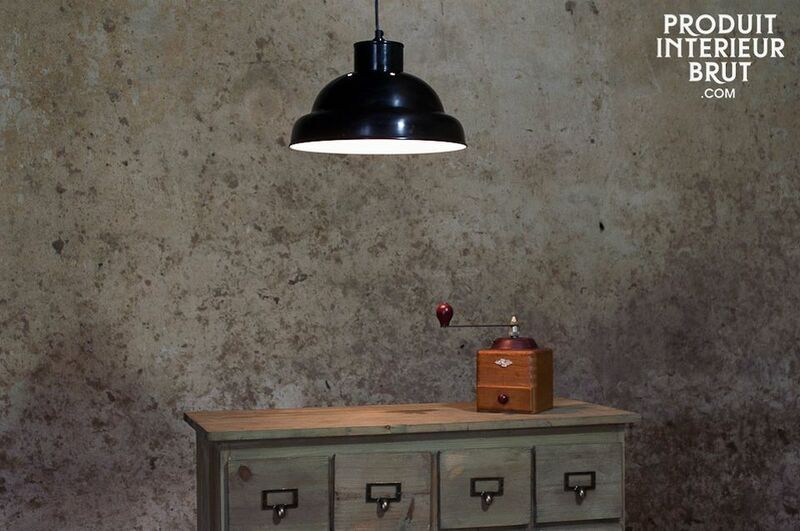 It can be used as a central ceiling light, in classic fashion, but you could also suspend one or more above a large dining table or a bar. 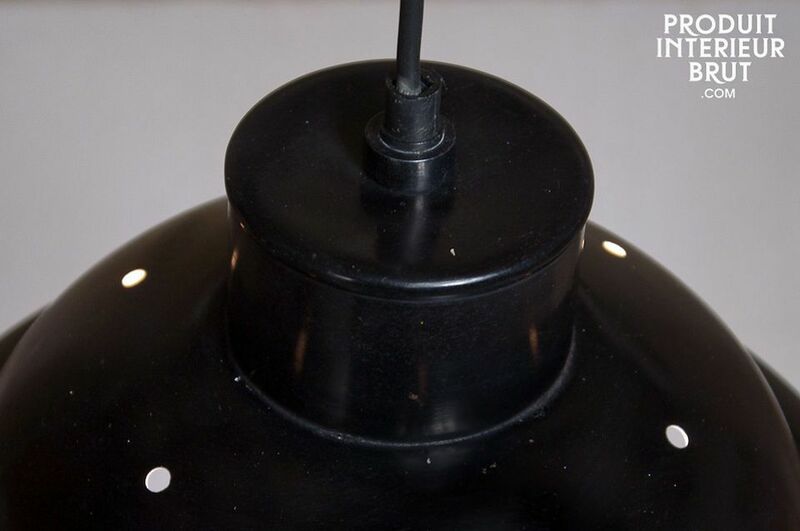 This ceiling light is supplied with a ceiling cap that hides the fixation system and power cord. 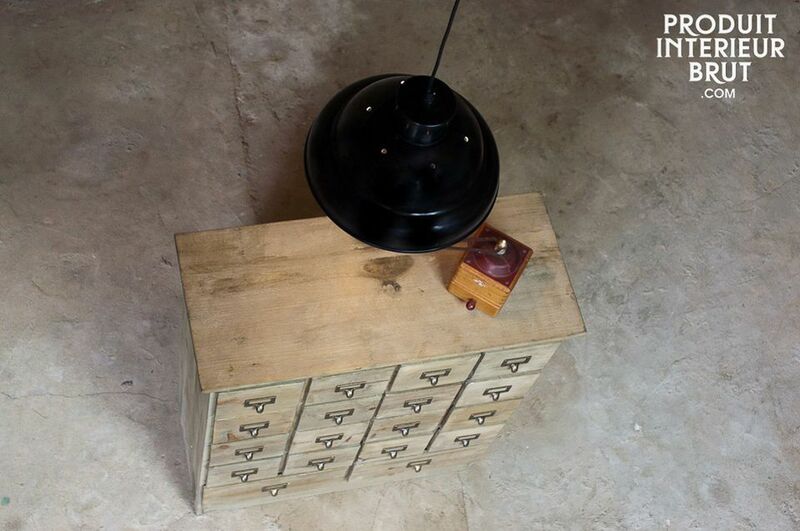 Works with a maximum 60 Watt E27 large screw bulb.